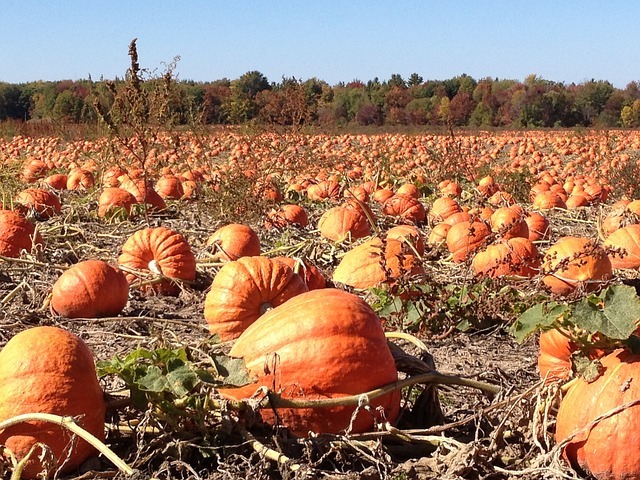 When you’re visiting Surrey in October, one of the things to top your must-do list is visit a local pumpkin patch. It’s the perfect season for it, there’s so many of them in the area, and it makes for a great autumn activity to do if you’re travelling with your family — especially little ones. Here are three of our favourite ones and, of course, don’t forget to book your stay with us here at Comfort Inn & Suites Surrey Hotel. We’re conveniently located, with beautiful, clean, and modern accommodations, affordable rates, and great amenities like complimentary hot breakfast. Aldor Acres Family Farm, named for the combination of the founders’ first names — Albert and Dorothy Anderson — started selling pumpkins from the farm in 1988, asking for compensation to be dispensed in a jar. Now, the grandchildren keep the legacy alive by running 20 acres of pumpkin patches and 5 acres of petting zoos. This is their 30th year of operation. Along with patches and petting zoos, there is also a display of antique farm machinery. Visit their “Farmacy” for farm fresh veggies, eggs, pork, and homemade preserves. The Tamis family has been farming in Surrey since 1958. The small-scale farm opens their pumpkin patch in October, with some of the best-quality pumpkins in the entire area. Take a hayride down and pick your own, or browse the selection of picked ones. Make sure to visit their cows and chickens, as well as their general store for fresh veggies. The Bose family began their farm back in 1891, when Henry Bose arrived in BC from England and settled in Surrey. He started a dairy and potato farm and, while the crops have changed over years, the Bose family farm maintains the same passion. Now, the family raises poultry and grows a variety of field crop. Take a free wagon ride down to the corn maze or pumpkin patch to pick your perfect pumpkin — and don’t forget to enjoy a cob of hot buttered corn at the concession stand!